WACO, TX — Harmony Science Academy in Waco has been growing throughout the school year, but not through its student enrollment. 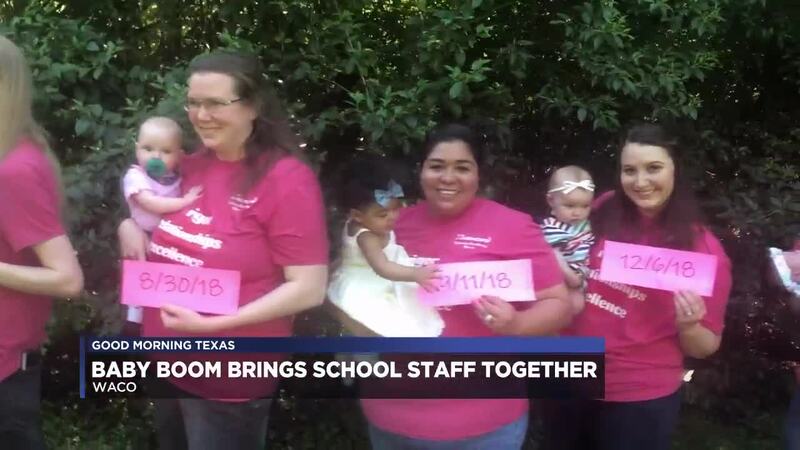 Since June of 2018, 14 women on the staff at the school have welcomed a baby or are expecting. The school said baby boom can’t be explained and the number of pregnancies is just coincidental. The teachers are taking this unique experience and using it to help bring the staff closer together. The Harmony Science Academy campus in Waco teaches approximately 680 students in pre-k through sixth grade.